This 5-star hotel in Hamburg's Rotherbaum district offers free high-speed WiFi, 6 restaurants and a luxurious spa with indoor swimming pool. 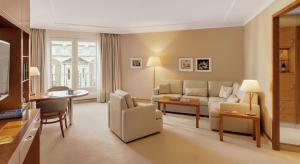 The Alster Lake and Jungfernstieg shopping district are less than a 15-minute walk away. 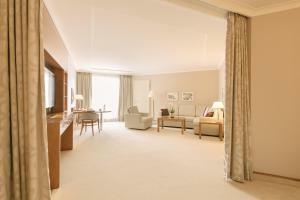 The bright and spacious rooms at Grand Elysée are elegantly furnished. All rooms are air conditioned and include a flat-screen TV, satellite sports channels, an entertainment system and a modern bathroom. 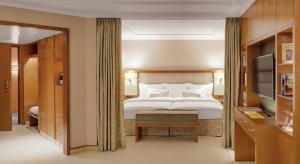 Guests enjoy a spacious wellness area in the 1000 m² Elyseum Wellness & Spa with an indoor pool, saunas, hot tubs and gym. 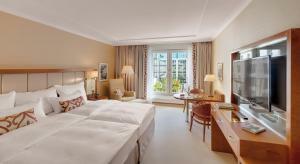 The Grand Elysée Hamburg offers European specialities in Le Parc, Piazza Romana and the Brasserie Flum. Drinks and snacks are also served in the Boulevard Café, Oyster Bar and the Bourbon Street Bar, where live jazz is also played. Hamburg’s CCH Congress Centre and the Dammtor Train Station are 400 metres from the Grand Elysée Hamburg. 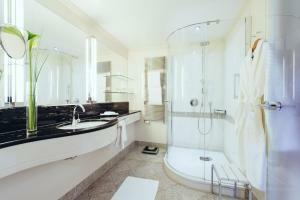 If you are travelling with children, please inform the property in advance of their ages and number of child guests. 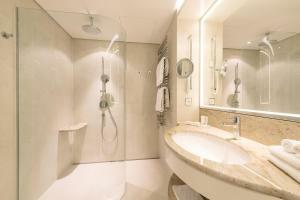 Please note that a maximum of 2 children can only be accommodated in the Penthouse Suite and Family Room categories. 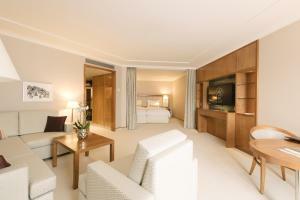 A maximum of one child can be accommodated in the Superior Double Room with Park View. Guests are required to show a photo identification and credit card upon check-in. Please note that all Special Requests are subject to availability and additional charges may apply.